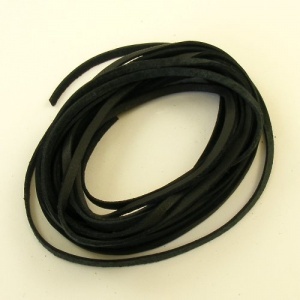 This is a continuous 5 metre length of flat black leather thonging. It measures 3.5mm wide x 1.5mm thick. Ideal for jewellery making and many other craft uses.